Your toothbrush is an important tool for dental health, and it can help you guard against plaque and cavities. Ultimately, your dental health contributes to your overall health. It is, therefore, only natural that you should look for the best options when choosing an electric toothbrush. Unfortunately, there are too many options in the market today and it can be hard to decide which one is right for you. 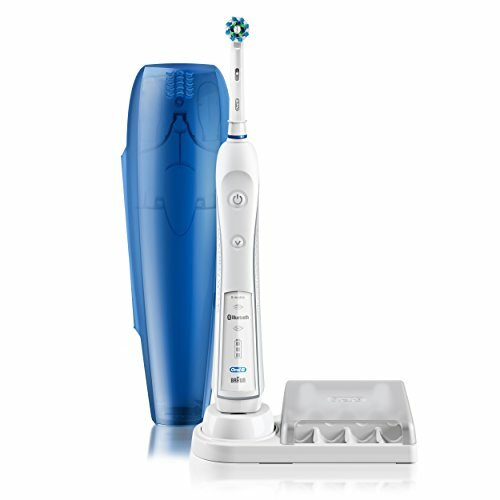 The Braun Oral B Electric Toothbrush has become one of the popular toothbrushes. Like all other electric toothbrushes, it has its own advantages, i.e. over manual toothbrushes. However, it also has its own limitations. Below are some of the pros and cons of it, particularly in comparison to manual toothbrushes. Electric toothbrushes are not as abrasive as the manual kinds. But even then, they are more thorough and can remove a greater quantity of plaque. This has to do with added accuracy and convenience. 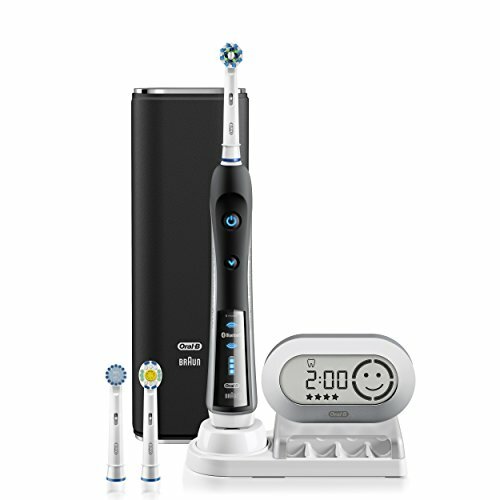 Not only does it come with a built-in timer, so that you can track your brushing time, but it also has the ability to rotate on its own. 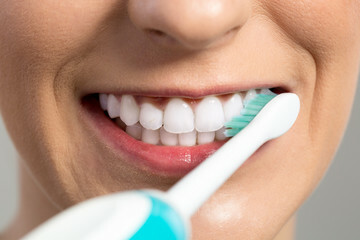 On the other hand, with a manual toothbrush, you must know the correct brushing technique to remove plaque completely and estimate how long you have brushed on your own. Comparatively, the electric toothbrush is both easier to use and more convenient.Check how to compare electric toothbrushes here if you missed it. There are patients who may not be able to use manual toothbrushes, perhaps because of pain from their abrasiveness. Patients with arthritis, for example, may feel pain while brushing, and therefore fail to do so properly. Electric toothbrushes provide a better option for such patients, as they are gentle and can brush properly. Moreover, the fact that all you need is to angle the head of an electric toothbrush and it does all the work means that it can work for different kinds of patients who may otherwise have a hard time using the manual brush. Children find brushing the teeth to be such a chore. This can lead to challenging behavior and/or ineffective brushing. Thankfully, kids electric toothbrush makes brushing fun for children, so that they are more likely to want to brush their teeth, and on top of that, it does a better job than manual brushing which children can not do very well as they tend to only brush the front teeth. Check an earlier post on choosing kids electric toothbrush here if you missed it from an earlier post where more is explained on things to keep in mind when buying kid`s electric toothbrush. Essentially, electric toothbrushes considerably cost more to buy than manual toothbrushes. Sure, there are different types in the market, and with varying prices. Still, you will generally pay more buying an electric toothbrush than you will be buying a manual one. But other than buying, electric – unlike manual – toothbrushes, require replaceable heads that fit properly on the top of the brush you use, and these are also expensive.Check my earlier post on buying electric toothbrush replacement heads here if you missed in from an earlier post. As it is not enough that electric toothbrushes are expensive, they are also more delicate. Nearly – if not entirely – all manual toothbrushes are made of plastic, which means that they are less likely to break when they fall. However, electric toothbrushes are a lot likely to break when they drop, and this can lead to an unnecessary financial burden. On one hand, manual toothbrushes are easy to travel with. They are smaller and require smaller spaces for the toothbrush case. You also do not need to worry about packing extra batteries and even charging outlets. On the other hand, electric toothbrushes are very inconvenient when you want to be on the move. They are not only bulkier, and you need to pack batteries. You may also need to charge it or plug it into a power socket. These things can be hard to find or do while on the move. They are not only bulkier, and you need to pack batteries. You may also need to charge it or plug it into a power socket. These things can be hard to find or do while on the move. You may also need to charge it or plug it into a power socket. These things can be hard to find or do while on the move not to mention sockets being different should you be traveling to a different country. Despite the obvious cons of electric toothbrushes – like Braun Oral B Electric Toothbrush – it is important to remember that the main objective of brushing is to maintain good oral health, and on this note, electric toothbrushes do a better job of removing plaque. On top of that, a number of studies have found electric toothbrushes are better (than manual toothbrushes) at fighting gum disease. The brush you use is your choice. However, if you can bear the costs and the hassle, then the electric toothbrush may be the best one. On top of that, a number of studies have found electric toothbrushes are better (than manual toothbrushes) at fighting gum disease. The brush you use is your choice. However, if you can bear the costs and the hassle, then Braun Oral B electric toothbrush may be the best one. If you have any questions, just leave me a message below, will get back to you.If you found this post useful, please share in social media so others can benefit from it. 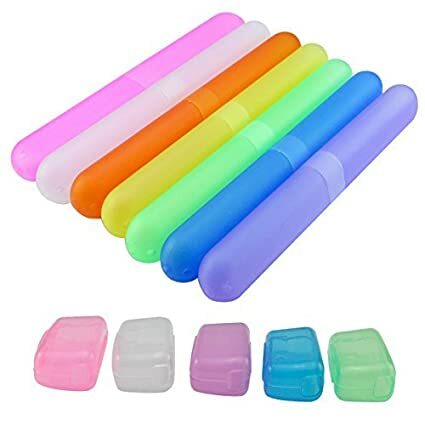 Below are some of the toothbrushes I thought you may like, they can be purchased from Amazon or if you shop online, check at your local store.